Huawei’s Honor brand has launched Honor Band 4, successor of Honor Band 3 in India. 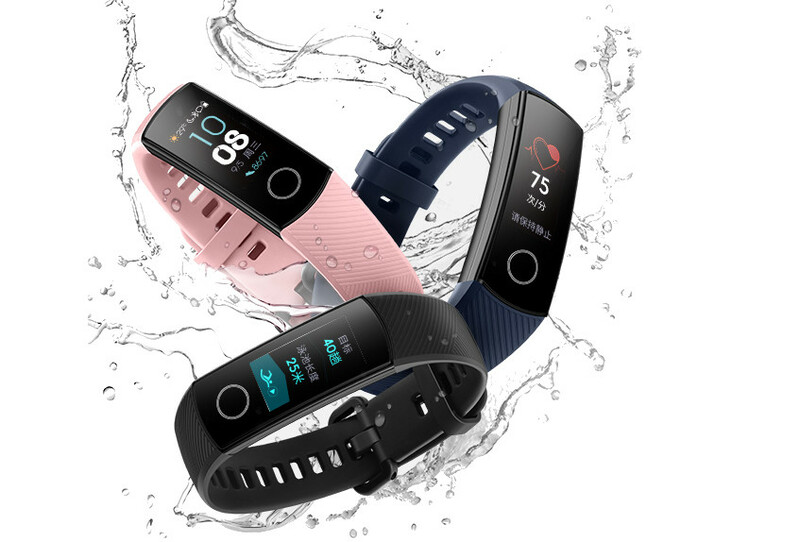 It has a 0.95-inch AMOLED color 2.5D curved glass touch screen display in addition to Home button, comes with continuous heart rate tracking and is also water resistant up to 50 meters with Swim stroke recognition. It has Huawei Huawei TruSleep 2.0 uses cardiopulmonary coupled dynamics spectrum (CPC) to monitor complete sleep structure including deep sleep (REM) to analyse sleep and offer personalized sleep recommendations. The Huawei TruSeen 2.0 heart rate technology offers 24-hour continuous heart monitoring when running, walking, cycling and more. The Honor Band 4 comes in Meteorite Black, Midnight Navy and Dahlia Pink colors, is priced at Rs. 2599 and will be available exclusively from Amazon.in starting tomorrow, December 18, 2018, 12PM onwards.